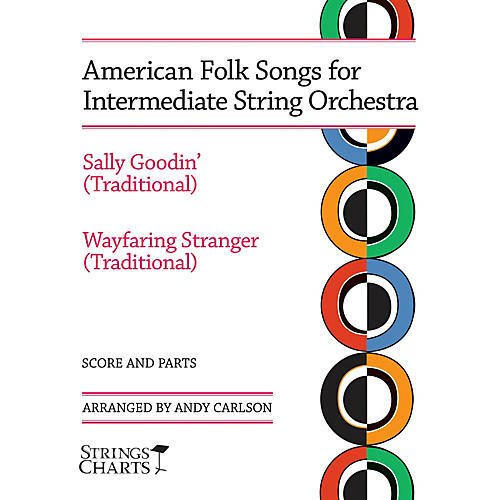 Delight audiences with these Strings Charts arrangements that celebrate America's diverse musical heritage. Sally Goodin' has been recorded by artists steeped in a number of American styles and this arrangement draws from old-time, Texas-style, and bluegrass influences. Be ready to brush up on your chopping and chord-comping techniques to bring this lively tune to life. Wayfaring Stranger is a traditional American spiritual with an easygoing vibe. Bill Monroe enthusiasts will feel his influence in this arrangement, as well as a subtle jazz flavor inspired by guitarist Tony Rice.